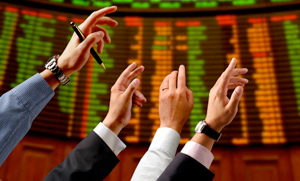 The Spanish stock exchange has regained interest for both domestic and international investors. The latter have been especially decisive for years because they represent almost half of turnover. So far this year, the purchase volume has been intense (especially since the end of last spring), which explains the improvement of most stock prices –including banks, which suffered the most on the stock exchange. How long will this tendency last? Will it be able to regain price levels of 2007? Best hypotheses are possible without the external negative factors, namely the American budgetary crisis (which implies an imminent threat), a new European crisis arising from the composition of the new Europarliament, or the risk of error by central banks when deflating their balances. So, there are many uncertainties faced with the upward tendency of the stock exchanges worst-hit by the economic crisis, the South European ones: Spain, Italy, Greece and Portugal. These four markets have returned to the global cash flow radar, captured local savings and improved their prices between 15% and 30% in few months. Most analyses see clearly the upward trend for these stock exchanges, especially since the alternatives from North Europe (Germany, France, United Kingdom…) are closer to maximum levels of 2007. American markets are also at maximum, whereas emerging countries are affected by the doubts about their growth ability. In short, there is an upward trend but it’s full of uncertainties –some of them predictable, some not so. Wanna bet the ECB won’t disclose its plan? Be the first to comment on "Ibex 35 (and all Southern stock exchanges) goes upwards"